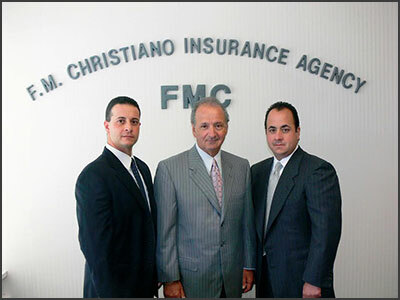 Frank started in the Insurance Industry in 1962 with the Fire Insurance Rating Organization, while attending the College of Insurance in New York. Frank is a past member of the Board of Directors of the Professional Insurance Agents of New Jersey Inc., and the New Jersey Underwriting Association and previousely served on the Royal Insurance Company’s Producer’s Council. Frank is a recipient of the Outstanding Young Men of America award for outstanding professional achievement. Past President and trustee for the Columbian Foundation, a past member of the Columbus Hospital Foundation Board, The Professional Insurance Agents of New Jersey President’s Award as well as PIA Service Award. In 2003 Frank received the Director of the Year Award. In 2004 Frank received the Italian Tribune’s Italian Heritage Award. Frank & his wife JoAnn reside in Clifton, New Jersey. Marc is a graduate from Paul VI High School and also Fairleigh Dickinson University with a Bachelor of Science degree in Business and joined the Agency full time in 1993. Marc’s Insurance Education and Credentials are from the American School of Business. Marc resides with his wife Susan and daughters Taylor, Jana & Samantha in Carlstadt, New Jersey. Frank is a graduate from Paul VI High School and also attended Fairleigh Dickinson University and joined the Agency full time in 1989. Frank’s Insurance Education and Credentials are from Drake University in Des Moines, Iowa. Frank resides with his wife Lisa and daughter Gina Marie and son Frank Rocco in East Hanover, New Jersey.